I have heard many people over the years of teaching voice lessons, question whether or not they would be able to learn to sing. There are so many myths about singing. Many people believe that only “special” people can sing, you have to be “born” with it, it is “too late”, etc, etc. Anyone can learn to sing! In my ten years of teaching voice, I have seen extremely talented people go nowhere and moderately talented people practice, study and build a voice and a career for themselves. If you are willing to face your fears, see yourself clearly and commit to regular lessons with a teacher, you can sing. That does not mean that you can sing anything, however. Not every voice is suited for all kinds of music. 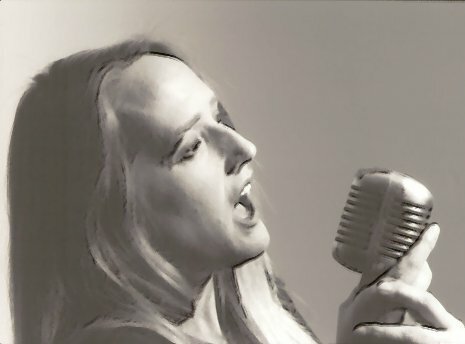 Part of studying voice is learning about your unique instrument and what it is ideally suited for. Sometimes people will ask if they can learn to sing without a teacher. Well…yes and no. So much of voice lessons is “unlearning” all the tense habits we have picked up over the years. This can be extremely difficult to determine by yourself. This is why even advanced singers continue to see a teacher. It is so helpful to have another trained pair of eyes and ears. A teacher will simply help you reach your goals more quickly and efficiently. Those of you in the pop music genre, don’t be fooled! The music business is filled with teachers and coaches. Many of the major recording artists have or still do study with a teacher. This is not well publicized by the industry. If you are interested in singing a particular style of music, search out a teacher who specializes in or at least understands that particular style. Because we use our voices everyday, voice lessons are more akin to physical therapy, dance or other athletic endeavors than instrumental music study. Singing is mostly awareness and coordination. It is also similar to learning to ride a bike or drive a clutch car. At first it takes an incredible amount of concentration but as you gain “muscle memory” eventually you go on “auto pilot” and you can then focus on other things. This is our goal and experience with voice training as well. Eventually we progress to the point where we don’t have to think about our technique and we can focus on our artistic self expression and the joy of singing.